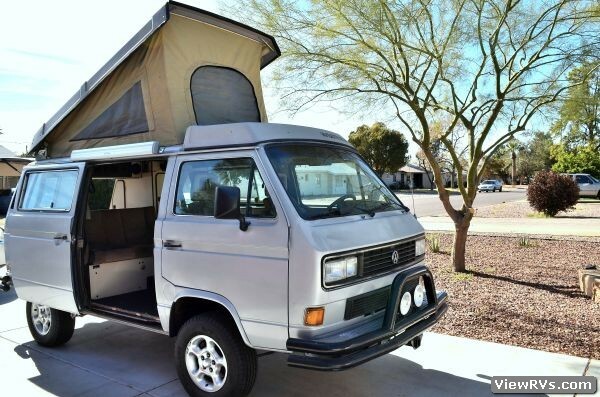 1986 Volkswagen Vanagon Westfalia Camper Exhibit "A"
This extremely rare 1986 Westfalia Syncro Camper (only 1500 built and from 1985-1991) is perfect for those looking for a unique recreational vehicle that can be driven almost anywhere you can think of. 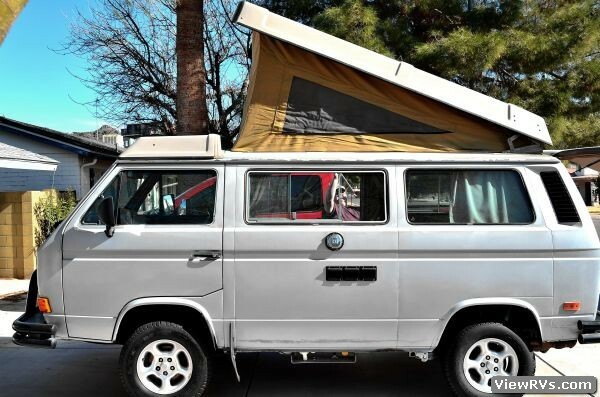 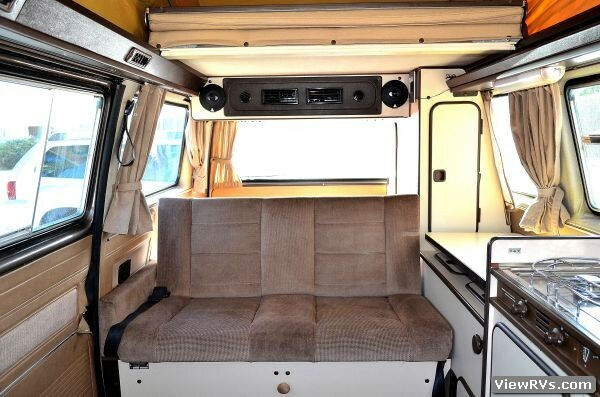 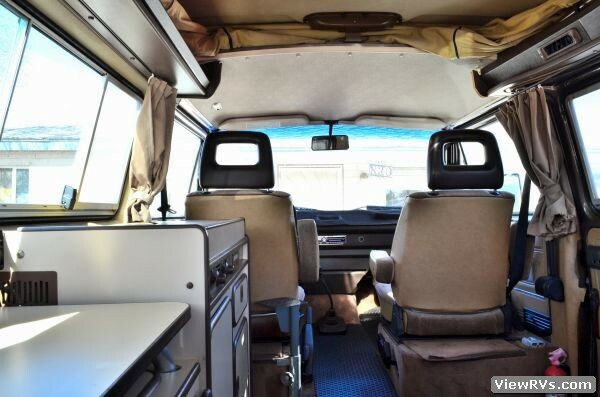 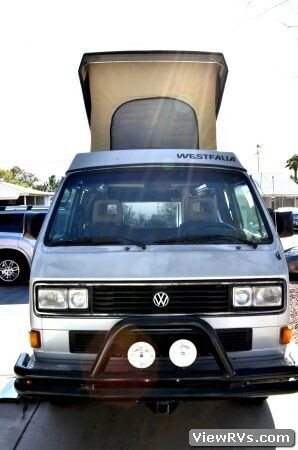 Volkswagen Created the ultimate camping experience by equipping the Westfalia with Syncro full time four wheel drive, locking differentials and neatly setting it on a military inspired chassis. 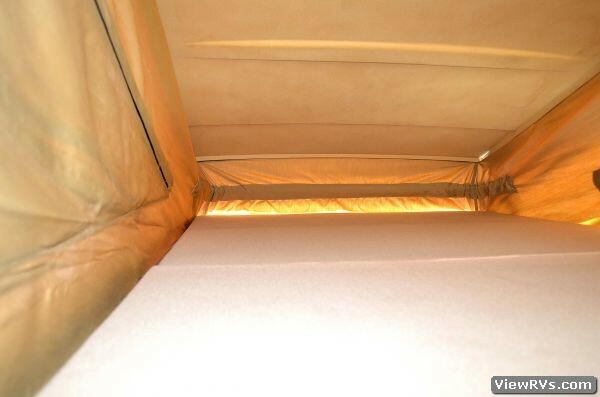 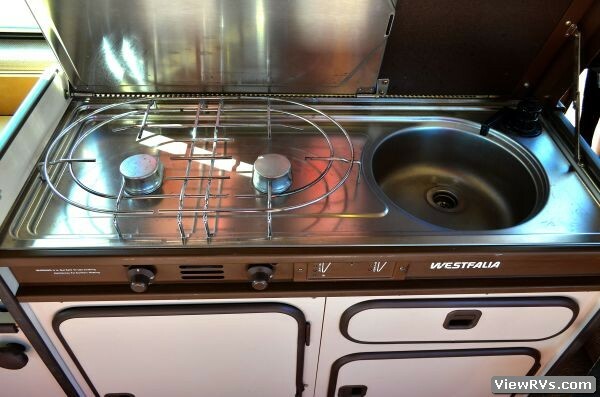 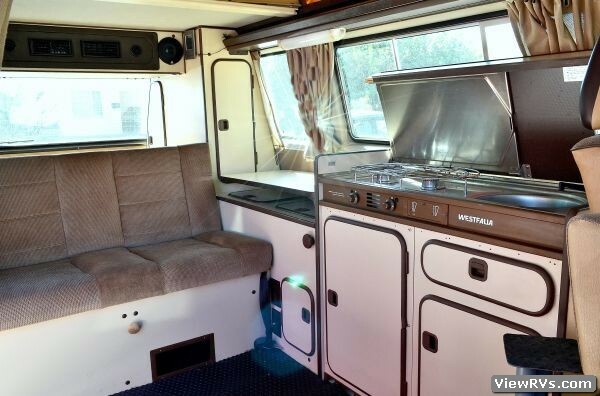 The Camper Model was then outfitted with a refrigerator, 2 burner stove, sink, 13 gallon water tank, pop top, and sleeping for four on 2 pull out beds.